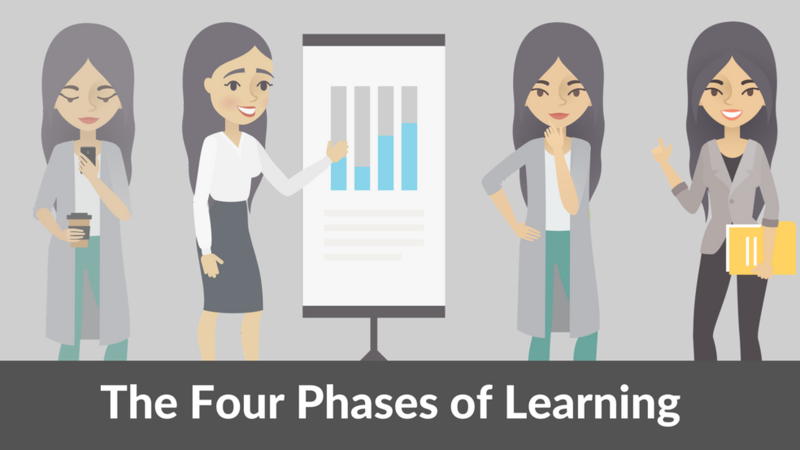 In the training world, the optimum number seems to be “four.” There are four learning styles, four stages of competence, and a four-level evaluation model. 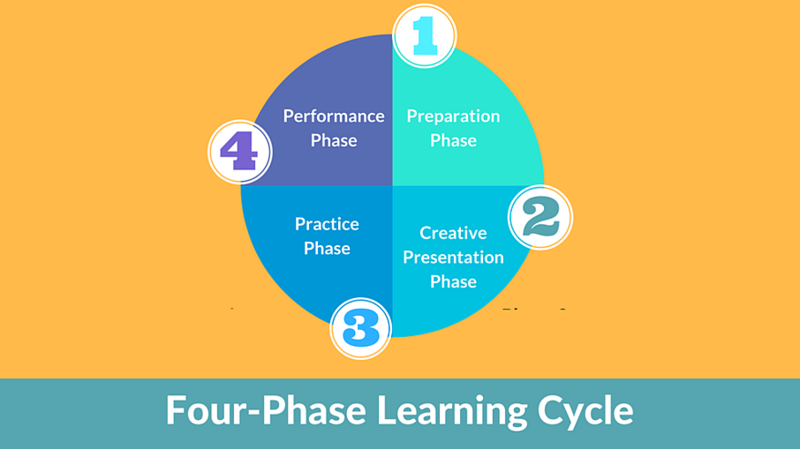 There is also a four-phase learning cycle. Meier says that unless all four phases of learning are present in a training program in one form or another, no real learning occurs. Adult learners need to be ready to engage in the learning process. Barriers are created when learners lack interest, don’t see the benefit of learning, or have negative feelings about either the learning or the content. Arouse the learners’ curiosity by having them raise questions and pose problems for each other. Create a learning community by having everyone select and change learning partners throughout the program. Have learners define their main goals in attending the program and have them share them with other participants. Give each team a course objective and have them come up with as many benefits for that objective as they can. Remove learning barriers by having people write down their own barriers and, in teams, coming up with solutions for overcoming them. 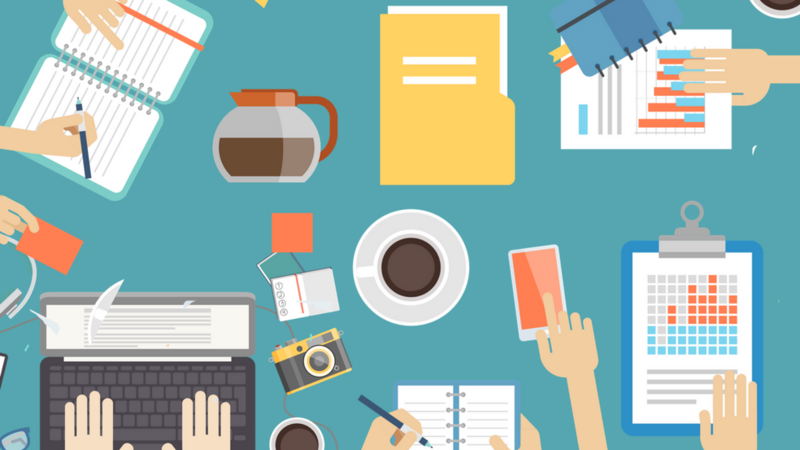 Provide positive suggestions by having a display of success stories of previous attendees. Unless adult learners are integrally involved in creating and adapting their own learning content, they don’t learn. They need to initially encounter the new knowledge and skills in ways that are meaningful to them, and incorporating their own learning style, whether visual, auditory, intellectual, or kinesthetic. The goal of the Presentation Phase is to help the learners encounter the new material in ways that are interesting, enjoyable, relevant, multisensory, and that appeal to all learning styles. Knowledge is not something a learner absorbs. It is something a learner creates, and it needs time for integration. Learners need to be given time to integrate the new knowledge and skills into their internal structure of self, meaning, beliefs, and skills. Learners need to have the opportunity to immediately apply what they’ve learned. Without immediate application to the real world, only 5% of the newly learned knowledge and skills is retained. With immediate application—and the proper coaching and support—learners typically retain 90% of the new knowledge and skills. Conventional learning has tended to emphasize the Presentation Phase over all other phases in the learning cycle. When designing a training program, developers put 80% or more money, effort, and time into creating presentation materials. At best though, the Presentation Phase accounts for only 20% of the learning. And unless preceded by a Preparation Phase and followed by Practice and Performance phases, it is almost completely useless. The Presentation Phase exists only to initiate the learning process, not to be the center of it. 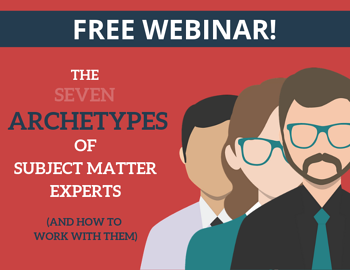 People learn more from experience than they do from presentations and training materials. 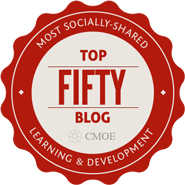 For most adult learners, learning is a matter of trial, feedback, reflection, and retrial. 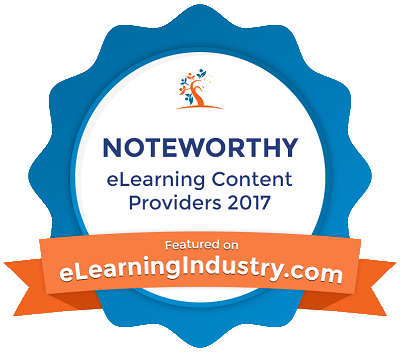 The presentations and training materials are there simply to initiate and support active learning experiences, nothing more.